The residents of the tiny island of Swallow Falls are unable to export their massive influx of sardines, forcing them to consume it day after day and creating a sardine-centered job market. 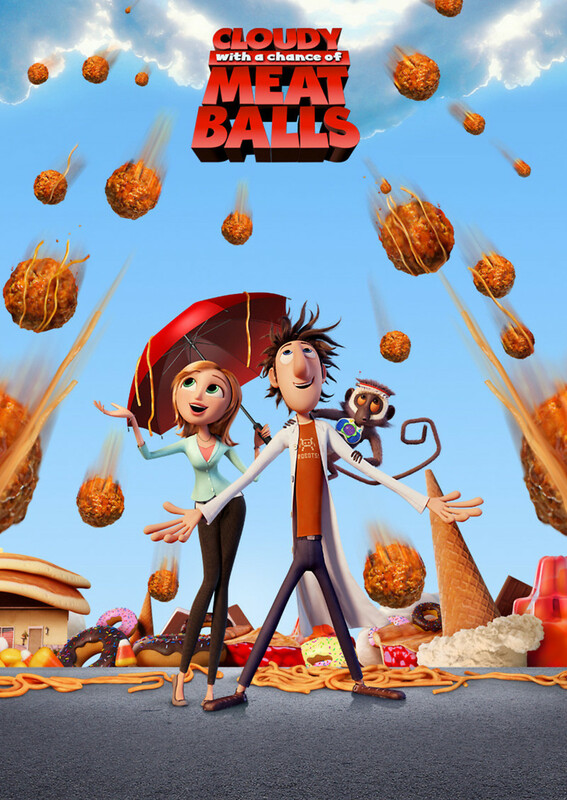 The amateur inventor Flint Lockwood manages to create a device that converts water into different types of food in hopes of saving the people of Swallow Falls from eating only sardines for the rest of their lives. While testing it out, he accidentally launches his machine into the atmosphere, where it begins to rain food. Flint becomes famous due to a television report by trainee Sam Sparks, but the greedy mayor of Swallow Falls threatens the safety of the citizens when his overworking of the machine turns the food-weather into a deadly phenomenon. Flint and Sam, along with their ragtag group of friends, must turn off the machine and save Swallow Falls.